With National Distracted Driving Awareness Month underway, AAA Mid-Atlantic announced an important traffic safety campaign at the New Jersey State House today. Joined by lawmakers, the New Jersey Division of Highway Traffic Safety, the New Jersey Brain Injury Alliance and traffic safety advocates, AAA kicked off the “Don’t Drive Intoxicated- Don’t Drive Intexticated” campaign, a new, multi-year initiative that aims to reduce deaths and injuries as a result of cell phone use by drivers. “Don’t Drive Intoxicated—Don’t Drive Intexticated” seeks to make distracted driving as socially unacceptable as drinking and driving. It targets drivers who would never consider getting behind the wheel after drinking alcohol or any other impairing substance and, yet, will regularly use mobile devices while driving, dangerously taking their eyes and minds off the road. The word “Intexticated” is, of course, a play on the word “intoxicated.” And as such, the “Don’t Drive Intoxicated—Don’t Drive Intexticated” campaign links the impact of drinking and driving with distracted driving. Both are comparably dangerous and deadly, research shows. Both alcohol-impaired driving and texting while driving kill and injure drivers, passengers, pedestrians and cyclists. In fact, research shows that a person using a cellphone while driving is four times as likely to be involved in a crash as drivers who are not. “Whether it’s texting, calling, navigating or something else, using your cellphone can be dangerous while driving. Nothing you have to say or write is so important that it justifies jeopardizing your life or the lives of others on the roadway,” said Tracy E. Noble, AAA Mid-Atlantic’s Manager of Public and Government Affairs. Distracted driving kills an average of nine people and injures 1,000 each day, according to the National Highway Traffic Safety Administration (NHTSA). It is the third leading driver-related cause of crash fatalities behind speeding and driving under the influence. In addition, these numbers likely underestimate the problem because most drivers do not admit to distracting cell phone use after a crash. The New Jersey State Police determined that inattentive driving, also known as distracted driving was the top cause in 196 fatal crashes in 2017 making it the leading cause for New Jersey traffic fatalities for the sixth year in a row. Additionally, according to the state Judiciary, last year, police issued 55,644 summonses for driving while using a hand held cell phone. Of those, 42,334 motorists either pleaded guilty or were found guilty. Sadly, Traffic Safety Advocate Charles Donato and his family know all too well the pain a distracted driver can cause a family. On June 1, 2011, Toni Donato Bolis, 28 years old, and her unborn son, were killed in a motor vehicle crash caused by a distracted driver using a cell phone. Toni was less than a mile away from home in Sewell, NJ, and less than 36 hours away from giving birth to her second child, Ryan Jeffrey. 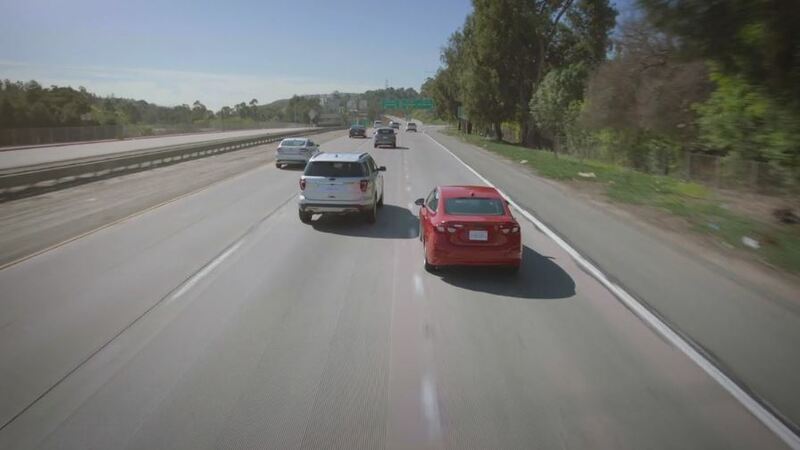 A driver distracted by using his cell phone entered the lane of opposing traffic. After missing two other cars, he struck Toni’s SUV head on. 60 percent are very concerned about safety on the road due to other drivers being distracted by their electronic devices. 76 percent say that they think it is never okay to use your Smartphone for texting, emailing, or social media while driving. 76 percent believe that the dangers of using a Smartphone for texting, emailing, and social media can be as serious as drinking and driving. 82 percent would support a law that would ban video chatting or watching video-streaming devices while driving. Ask passengers for help. If riding with someone, seek his or her help to navigate, make a call or send a message. Pledge now. The multi-faceted “Don’t Drive Intoxicated—Don’t Drive Intexticated” traffic safety campaign is crafted to empower people change their behavior. For this reason, AAA Mid-Atlantic is encouraging the motoring public to take the pledge to prevent distracted driving. Drivers can go online at AAA.com/DontDriveDistracted to join us in our pledge to not drive Intexticated. Pledge cards are also available at AAA retail centers and Car Care Centers throughout the Mid-Atlantic region.